I have buyer for gold! 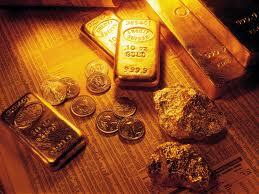 If you have gold to sell, contact me! 5- Before Buyer flies to XXXXX, seller will provide POP via a copy of the original gold certificates or SKR or something proving the Gold is real. 6- Buyer will make the assay report in refinery in order to verify purity, fineness and weight, Ownership of title for the gold will be deemed to be transferred to the Buyer at the same time as payment is made taking place at the Seller’s Bank.